Additionally, they make the very best hybrid damage classes whereas Swordsman, Wizard, and Cleric lack synergy between most builds forcing these to choose either single target or AoE. Archers utilize the Strength (STR), Skill (DEX), and Metabolic rate (Disadvantage) stats. Whereas they are able to utilize Spirit (SPR) any maximized build will bypass it and just become accustomed to Spell Point (SP) potions when needed. They wield bows, crossbows (one-handed), daggers, pistols, and shields. Certain Archer builds can learn attributes to wield Muskets and Cannons. Archers are usually better off putting on leather, because of their passively greater evasion*, permitting strong evasion builds. However, there are specific cloth and plate sets which work nicely on Archers. Archers have a base buff limit of 5. Archers have a base AoE Attack Ratio of 0. *Secondary Physical Attack is just highly relevant to dual wielding builds, typically although not always limited to Schwarzer Reiter, Rogue, and Hackapell. **Precision and Block Transmission are fairly useless and have no reliable value in PvE, however, are perhaps the most crucial PvP stats. ***Physical Defense and Magic Defense are usually bad stats, particularly in PvE, because of the lack of ability to stack these to the figures needed to ensure that these to matter. In PvP or when speaking about 15 accessories and chest and legs, it might be easy to get these stats sufficient to get very strong. ****AoE Defense Ratio and demanding Resistance would be the defensive equivalents to Precision and Block Transmission. They've got minimal or no value in PvE, however, is perhaps the most crucial defensive PvP stats. *****Block is rather useless to Archers generally however, many builds could viably stack Disadvantage and block and apply them perfectly. 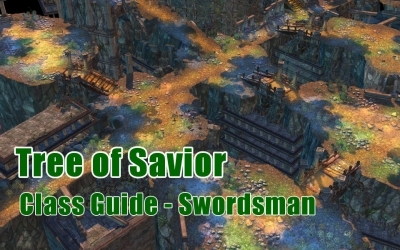 Archers have only one primary role within the standard "Holy Trinity" of Mmog roles, damage dealing. 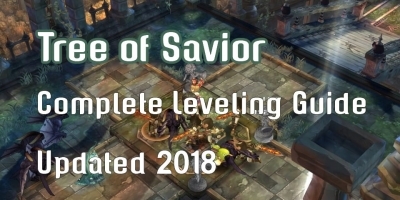 However, Tree of Savior using its large number of classes and available builds breaks damage dealing lower into different roles and builds. Archers can handle as being a Us dot (Damage With Time bleeds, poisons, etc.) 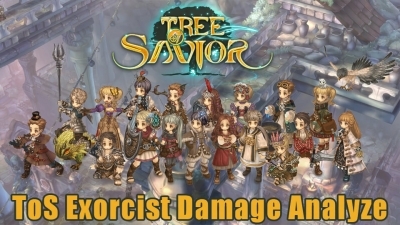 damage class, AOE (Section Of Effect or multi-target) damage class, single target damage class, sustained damage class, and/or burst damage class. Due to this, you need to be careful when building an archer, because while hybrids are viable, because of the current endgame content, you're likely to wish to make certain your build is the greatest at one factor rather of mediocre at multiple things. Obviously, if you are a strictly single target class, for instance, you may still get an AoE ability or more, as long as it doesn’t directly negatively affect what you can do to complete single target damage. While Archer's "Missile" damage does not have such a drastic +/- damage system as the slash/pierce/strike system or element system other classes have to play around, it does have an arguably worse size-based damage reduction system. Small monsters take 100% damage from missile attacks. Medium monsters take 90% damage from missile attacks. Large monsters take 85% damage from missile attacks. Extra-Large monsters take 85% damage from missile attacks. This only denotes that archers are technically established to function as the worst boss class. For instance, compared side-by-side to some Dragoon who will get the passive "Big Game Hunter" making him do elevated harm to L/XL size monsters and bosses, on the leather-putting on boss, that takes elevated damage from pierce (spears/the Dragoon), the Dragoon may likely deal double the amount Archer's damage, presuming equal gear and talent. However, if the two players would go facing a cloth-putting on boss, that is strong against piercing attacks, the Archer may likely double the amount Dragoon's damage. Despite not getting elevated damage on any kind of target with missile attacks, Archer's high base damage and insufficient major target-based repercussions means they are probably the most reliable damage dealer hanging around, with Swordsmen and Wizards being situationally better. All Archers obtain a 100% harm to flying monsters at rank 1 with an attribute learned in the Archer Trainer, while using the a 2-handed bow. What this means is despite any possible better crossbow sub-weapon combination an Archer might have, they'll also have to hold a 2-handed bow and utilize the Weapon Swap feature to be able to maximize their damage. Archers can presently be built to employ a Crossbow Dagger, Crossbow Pistol, Crossbow Cannon, Crossbow Shield, or Musket. Presently, apart from swapping for flying monsters for reasons pointed out above, no Archer build thrives from using a two-handed bow his or her primary weapon type. However, with the development of Mergen at Rank 8, this might change. Despite not getting any base tank characteristics or any real tank trees, apart from their passive evasion bonus, Archers could be built very defensively for PvP purposes. Some Archer specs for example Musketeer and Cannoneer because of it's very high base damage around the abilities permit stats to simply be spent outdoors of strength, permitting a rather tanky Archer. Similarly, because of their utility, the Sapper and Rogue trees can viably be built tanky for PvP too. This being stated, "tank" Archers are suitable for PvP only and incredibly gimmicky. ####NOTE: The next stat priority is really a generalization for those physical damage dealers and physical damage specs. Though it's an excellent guideline, it won't hold true for select damage builds. 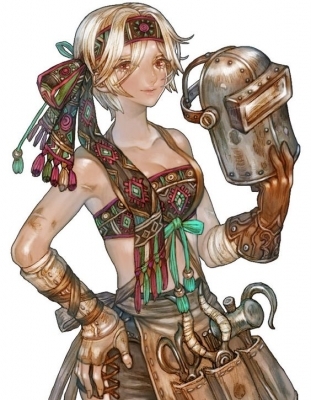 A few examples include Wugushi, as it's poisons cannot crit, rendering Skill useless, or Musketeer or Cannoneer, whose abilities have such high base damage, Strength is near-useless which is frequently easier to stack Skill past soft crit cap or invest more points into the Metabolic rate. Health (Disadvantage) is the most significant stat until several you're confident with. While Archers can pull off less than about 50 base Disadvantage, possibly less if they're a mounted Archer class, it's suggested to possess the least roughly 14,000 health for just about any situation, PvE or PvP. There are several minor exceptions to this rule, so again, just get Disadvantage until some health you’re confident with, but don't forget, dead people, don' damage. Physical Attack (STR) will make the most damage output increase point for point early into the game or while putting on low-level or mediocre weapons. However, Physical Damage does get less strong, point for point, using the much more of it you receive. A good example to aid this really is: For those who have 10 physical attacks and also you gain 1 physical attack, you've elevated your physical attack by 10%. For those who have 100 physical attacks and gain another point, you'll obtain a 1% damage increase. For those who have 1000 physical attack and gain that very same anchorman, you will simply obtain a .1% damage increase. gear, the critical rate becomes the best DPS stat for Archers. Granted, similarly to Physical Attack "soft cap" being easily obtainable via a strong/enhanced weapon, technically you can get very close to soft crit cap through green gems and gear. That being said, obtaining gems higher than level 6 or 7 max is quite unlikely and impractical at the moment. Physical Attack (STR) becomes stronger than Critical Rate (DEX) again once obtaining a soft crit cap. to stack or base your build around, however, the amount you get through gear and strength simply while going for other stats, often adds up and becomes a significant addition to your dps. AoE Attack Ratio is yet another non-reliable stat that many any build shouldn't be based on by itself, however, it's potentially the most powerful damage stat accessible once enough base stats happen to be achieved. AoE Attack Ratio is recognized as hard to rely on since it is made unnecessary by Falconers, Linkers, and/or made irrelevant according to your build. 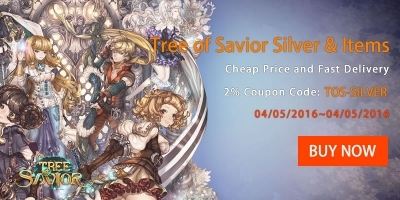 By the way, you check our class guide for Swordsman and Pardoner, hope these guide would be helpful, and if you are planning to buy Tree of Savior Silver, we Tosgold would be your best choice. Just remember that we would be your strong support in ToS. 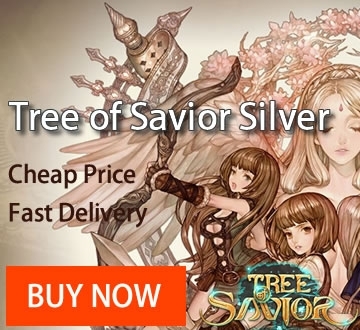 There will be a new class - Exorcist in Tree of Savior, which will be your new cleric choice on your next trip. 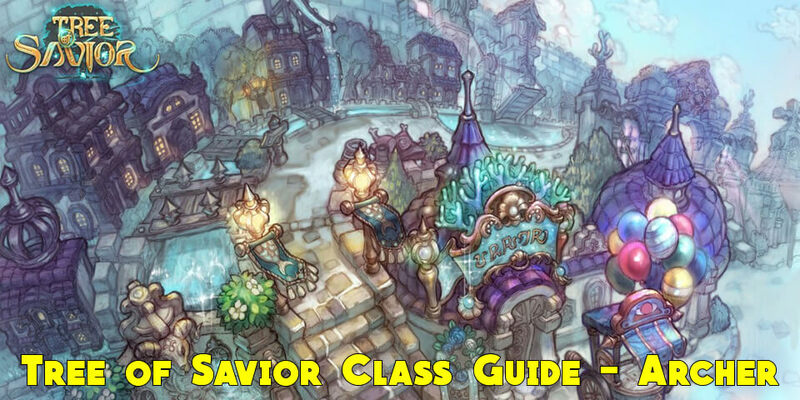 And some player would ask whether this is a class that has high DPS? Or is it just a support class? Tosgold will tell you all the details you want to know about Exorcist.